Valley Grove Estate in Woodside is an established development on the edge of this delightful hills township. The property is well situated on a large 1125m2 block with two driveways and rear access to the large powered garage. The ranch style home offers roomy living zones that include a family room, lounge room and meals/dining area. Two of the four bedrooms have built in robes and the main bedroom has a small ensuite bathroom. A covered patio is a great place for family BBQ's and there is plenty of opportunity to exercise your green thumb. The yard is secure for children and pets. 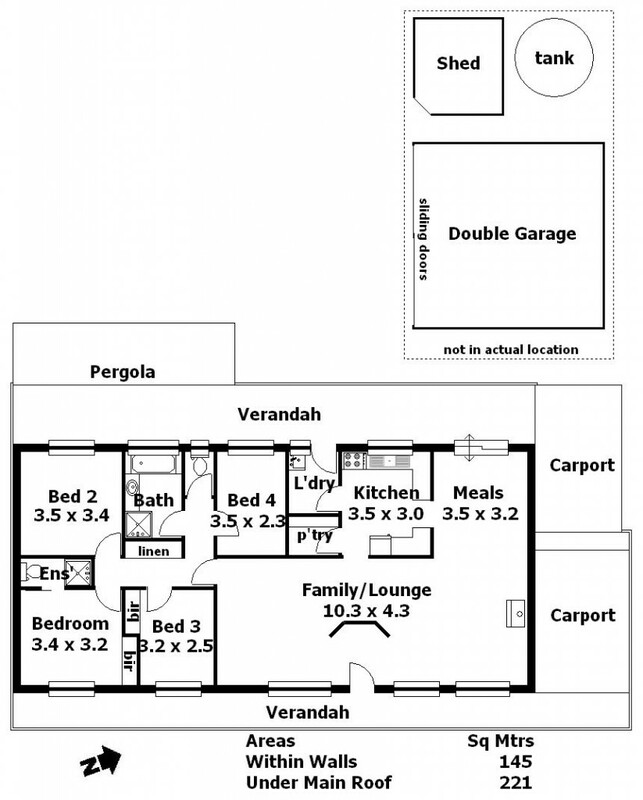 The double garage provides good car accommodation or perhaps room for the boat or caravan. Wood for the slow combustion heater can be stored in the wood shed. A split system air conditioner can also be used for year round climate control. In summary this property is well suited to the purchaser looking for a good sized home in this ever popular location. The current occupants are leasing on a short term basis but would be very keen to stay on if you are looking for an investment opportunity. Please call for inspection times.